Chatty53 weighed 400 pounds and was unable to walk more than a few feet at a time. 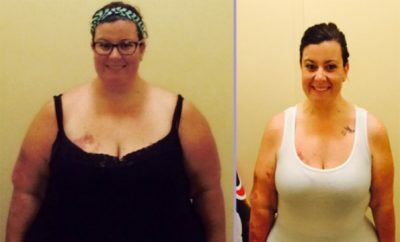 Her doctor recommended gastric bypass surgery, however she chose to lose weight on her own. 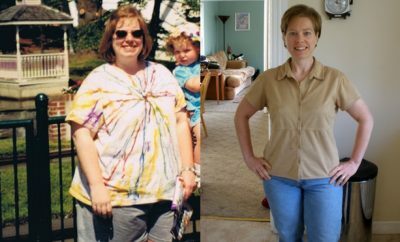 It has been a long journey, one step at a time, but she has successfully lost 152 pounds and is ready to begin reliving her life! I came to the conclusion I needed some help when my surgeon told me I had only two years to live. That was a big “Aha!” moment for me. This is when I decided I needed to get off the back burner and jump head on into the Fire of Healthy Living. Oh my gosh it’s better to ask me what haven’t I tried. There have been so many crazy diets I tried that now when I look back I wonder what the heck was I thinking? I thought I could find a quick fix and boy was I wrong. 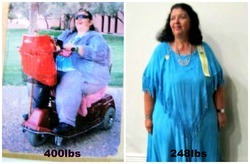 My weight loss war began at 400 lbs and being immobile. I used a scooter to get around and hardly ever ventured out into society. 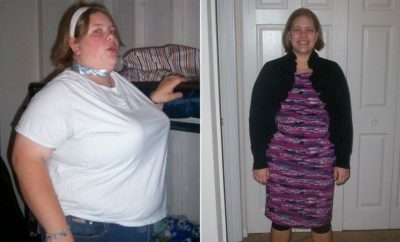 People are so cruel to the obese and I had no backbone or esteem in 2009 when it all began. I was going to do the gastric bypass like my surgeon highly suggested but just couldn’t go through with it. This was a personal choice, so I sought out Calorie Count and support from the website. I love how I’m not alone here and that makes such a big difference. I count my calories but I don’t eliminate anything. I learnt early on that if I did eliminate something, that’s the first thing I wanted. So now it’s all about portion control, a lot of self talk and wanting to be a better person than I had been. I have lost so much in my time so far on this earth and so I now am ready to begin my life again…one step at a time. CC is very beneficial to my mental health. The Forums are fantastic and I can always come to the website and find someone going through what I am or I might be able to help someone with their struggles through sharing my own experience. People here understand that being fat isn’t what we planned for ourselves it’s just a way of life that we fell into overtime. Our choices weren’t always the best but coming to CC I have learnt that I can do it and not be hungry or alone. SUPPORT is the best part of CC and I hope that more people seek out this site to help in their journey too. 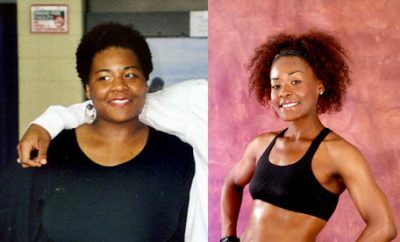 Many obstacles faced me as I went through trying to lose the weight. It didn’t come off fast like I wanted. I struggled with exercise since I couldn’t move around I had to find some way of doing any sort I could. I have found no matter what size you are there is always something you can do to exercise and move your joints. It doesn’t have to be in gym. I started off walking my ramp up and down. I sat and did knee bends and I lifted bleach bottles for weights. People are harsh and that’s sad too. If they see you they judge the outer you not who you are. They don’t give themselves a chance to see who you really are. Doctors have been a big problem for me as well because many see the body first not the illness. I could walk into a doctor’s office with my arm half hanging off and the first thing they would want to tell me is to lose weight!!! Obesity is not an easy life to live and I hope that I can educate while I lose that it doesn’t have to feel like a prison if we all help one another instead of judging us. It took me 2 1/2 yrs to reach my goal of 250 lbs. I have lost 152 lbs and I have so much energy it’s unbelievable. I am walking now without a scooter. I have lots of damage in my knees but that can be corrected in time. I have learnt that eating healthy can be fun. So many foods out there I would never have dared to try until now…it’s fun to experiment and learning to look at labels has really opened up my eyes. I pray a lot and ask God to keep me going. I turn to my friends here at CC for the great support and care they all give. I still gain weight off and on but the main thing is I never GIVE UP on myself. Before when I started to gain I caved in and then I really gained, but not now…I log my food, journal my thoughts and I speak out instead of hiding. I have been given a second change to live again. I don’t give into hiding at home I go and I enjoy being in public. I even went swimming for the first time in a bathing suit. Never wore one in my life! I have even traveled now in a plane. Before at 400 lbs I would never have dared to, but not now I love meeting new people and I try to share my journey to help others. I am going on over 1 1/2 yrs now maintaining. It’s not easy, but it’s a way of life. Pay it forward by sharing your story to give hope to those who felt like I did! Next Story → I’m Not The “Fat Girl” Anymore!